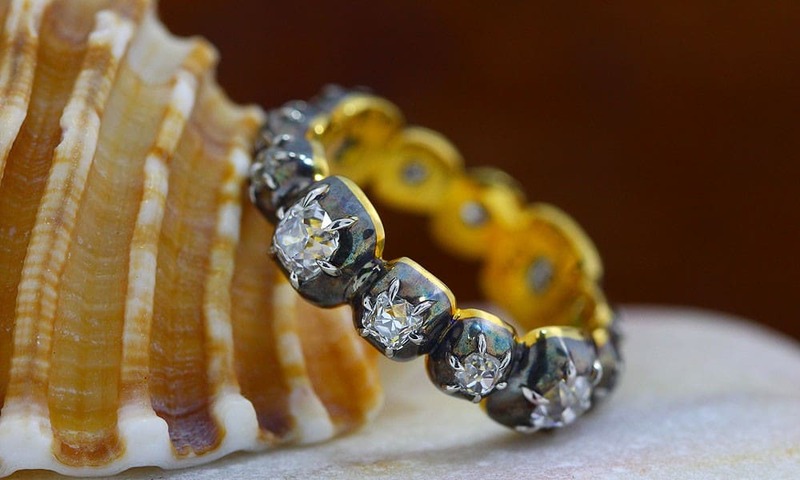 A full circle collet-set band ring created with GemConcepts asymmetrical Old Mine Cut Diamonds mounted in *oxidized silver topped 22kt gold. 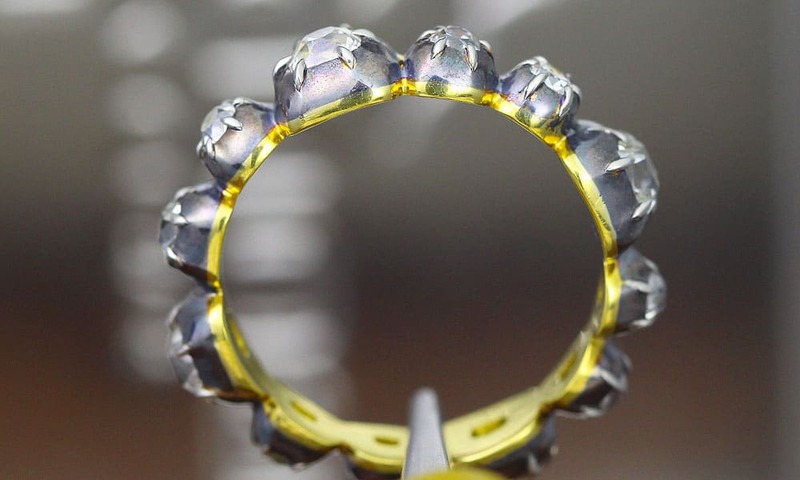 Additionally, each of the twelve Old Mine Cut Diamonds are further secured with six platinum prongs which is one of our twists for this Georgian band design but also serves as a better more secured setting for the unique Diamonds. 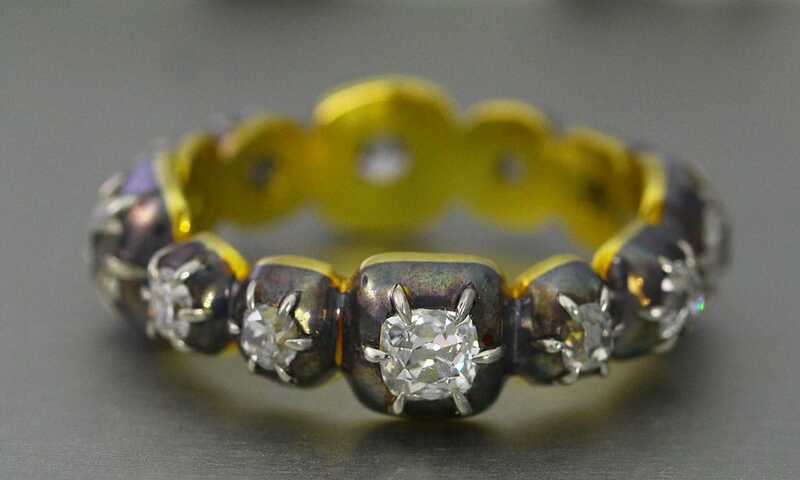 This ring is set with twelve GemConcepts Old Mine Cut Diamonds weighing a total weight of 1.66 carats. Their respected qualities range from D to G in color and VS-SI in clarity. 4 Old Mine Diamonds cut by GemConcepts, 0.98 carat total. 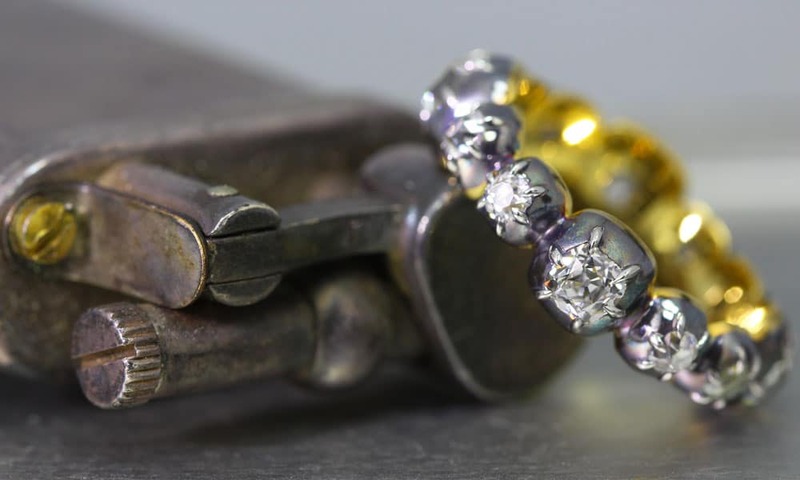 8 Old Mine Diamonds cut by GemConcepts, 0.68 carat total.